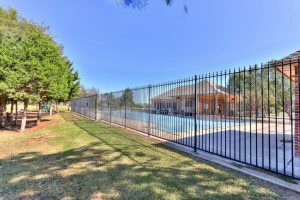 Click here to see all homes for sale in Fenwick in Edmond OK.
Fenwick consists of two different sections, Fenwick and Fenwich Garden Village. Nestled on the northeast corner of NW 164th & Pennsylvania Ave, Fenwick Garden Village is located just five minutes from the Kilpatrick Turnpike, Quail Springs Mall, and Memorial Road restaurants, where you can grab a bite to eat at Texas Roadhouse, BJ’s Restaurant, Schlotzsky’s, IHOP, and Mahogany Prime Steakhouse. It’s surrounded by sidewalks, which means you can safely traverse from here to there — in fact, you can walk to the Neighborhood Market Store in about 15 minutes. The entire neighborhood has a total of 733 home sites. A walker’s paradise, the Fenwick Garden Village neighborhood in Edmond OK is proud to be one of Edmond’s most exclusive gated communities of garden homes. Boasting about 170 homes, the lots here range in size from ⅛ acre to ¼ acre, with some being zero-lot-line. Most homes were constructed by OA Garr, but some were built by Bud Bartley, Castle Homes, Dale Dodson, Dwayne Keller, Glenstone Properties, and Old Orchard Homes. The homes are gorgeous, modern yet not too opulent. Most feature large covered patios, extended backyard decks that abut the greenbelt, manicured lawns, spacious gourmet kitchens, storage and walk-in pantries, granite countertops, crown molding throughout, in-laid ceilings, walk-in closets with built-ins and floor to ceiling storage, built-in shelves, intercoms and security systems, garages and gas fireplaces. Home prices range from $200,000 to $400,000 and above. With an ideal location and easy access to major highways, this neighborhood is a sought-after one for many singles, couples and families who want the safety, luxury and elegance that come with a gated community. Fenwick has 557 home sites, and is part of the larger section of the neighborhood. Nestled on the northeast corner of NW 164th & Pennsylvania Ave, Fenwick Garden Village is located just five minutes from the Kilpatrick Turnpike, Quail Springs Mall, and Memorial Road restaurants, where you can grab a bite to eat at Texas Roadhouse, BJ’s Restaurant, Schlotzsky’s, IHOP, and Mahogany Prime Steakhouse. It’s surrounded by sidewalks, which means you can safely traverse from here to there — in fact, you can walk to the Neighborhood Market Store in about 15 minutes. Fenwick features a lifeguard-staffed swimming pool, club house, 26 acres of grassy play area with picnic benches, four fishing ponds perfect for spending a lazy Sunday, large open gazebo for photos and events, and more than 55 acres of nature-rich common area with plenty of walking, hiking and biking trails. Fenwick students attend the Edmond Public School district, particularly West Field Elementary School, Summit Middle School and Santa Fe High School. Mercy Health Center is the main hospital serving the community, but residents can also obtain quality medical care at INTEGRIS Health Edmond, OU Medical Center, and AMG Specialty Hospital for all medical and surgical care, emergency, rehab, and labor and delivery services. Fenwick Garden Village is a part of the City of Oklahoma under Ward 8, which means it is serviced by the OKC Fire Department #37, OKC Police Department Springlake Patrol Division, and OKC utilities. Cox provides Internet, phone and TV services. 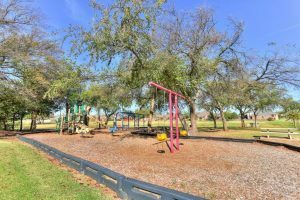 The FGV Homeowners Association is a non-profit corporation governed by a volunteer Board of Directors elected by the homeowners, with the Board of Directors doing HOA business in accordance with Fenwick Garden Village Homeowners Association Bylaws. Residents must pay two sets of annual dues: Fenwick Garden Village Dues for 2016: $460; Fenwick HOA dues for 2016: $372; overall dues for 2016: $832. The Covenants, Conditions, and Restrictions (CC&R’s) outline the plan of development, property rights, membership, maintenance, insurance and casualty losses, administration, assessments, architectural standards and use restrictions, rule making, and other general provisions. The neighborhood is serviced by the city’s finest Oklahoma City Fire Department #37 less than ¼ mile away, Oklahoma City Police Department Springlake Patrol Division and Oklahoma City utilities. They provide professional and top of the line public safety services not just to the neighborhood of Fenwick but also to the entire Edmond community. Each of them works hand in hand to provide the highest quality and protection to Edmond residents, guests, and visitors. That is also one of the reasons why Edmond prides itself for having a very low crime rate. 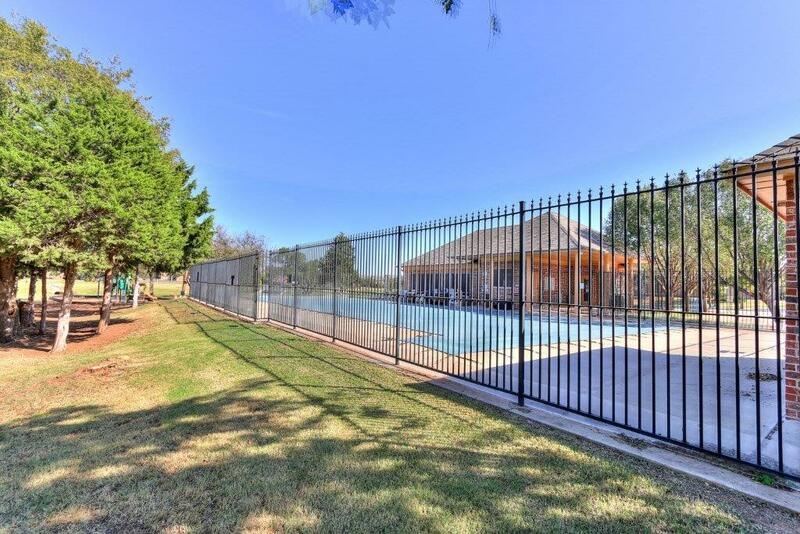 In addition to being gated, the neighborhood also features a community pool to enjoy in the summer!